I’m Paul Schmidtberger and I’m the author of DESIGN FLAWS OF THE HUMAN CONDITION, a novel published by the Doubleday / Broadway Publishing Group. Described by the publisher as “riotously funny,” DESIGN FLAWS OF THE HUMAN CONDITION opens a window onto our flawed capacity as humans to love and be loved. I’m thrilled to see this book in print and hope you will be too. If you’d like to know more about the book, you can read the description on the back cover by clicking on The Book. Would you like even more? Of course you would. Luckily, you can read the first page by clicking here. 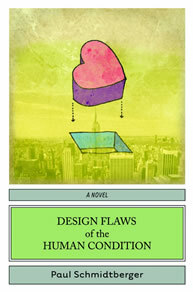 DESIGN FLAWS is available in bookstores throughout the United States and Canada. You can also order it from your favorite on-line book seller. The book was officially launched at a book party hosted by the The Abbey Bookshop in Paris. See the photo below and more on the Photos page. The party was a huge success: the books sold out right away; the wine flowed; and a spectacular display of fireworks capped off the evening. (Okay, the fireworks were for Bastille Day, but why get technical?) Thanks to Abbey Bookshop owner Brian Spence for hosting this happy event. I hope you’ll enjoy my website; if you have comments, suggestions or questions, just click on Contact. Thank you! To buy my book from Amazon, click here. To buy my book from Barnes & Noble, click here. Looking for independent English language bookstores in Paris? Click here. To poke around the publisher’s catalog (Random House), click here. For all media inquiries or rights inquiries, please see the information listed on the contact page. 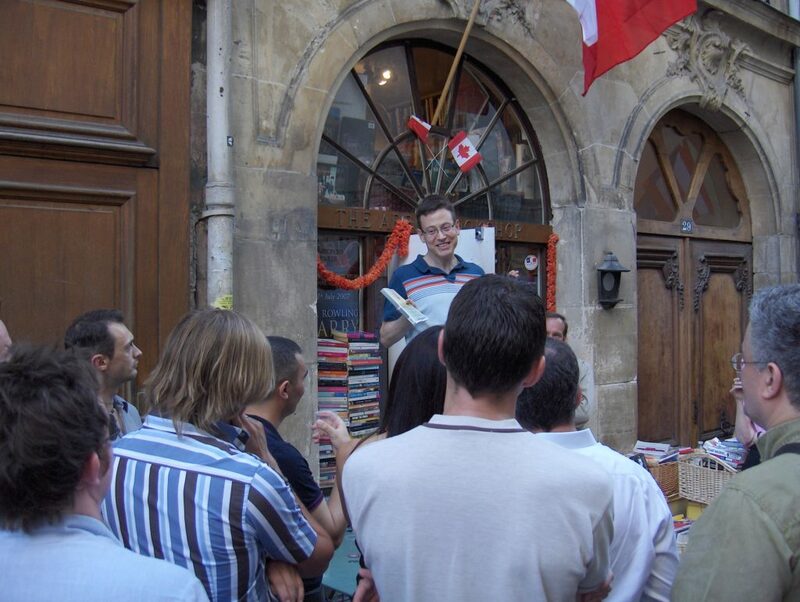 A Parisian booklovers’ paradise – The Abbey Bookshop; Bastille Day. Signing books in the Abbey Bookshop.